So There. 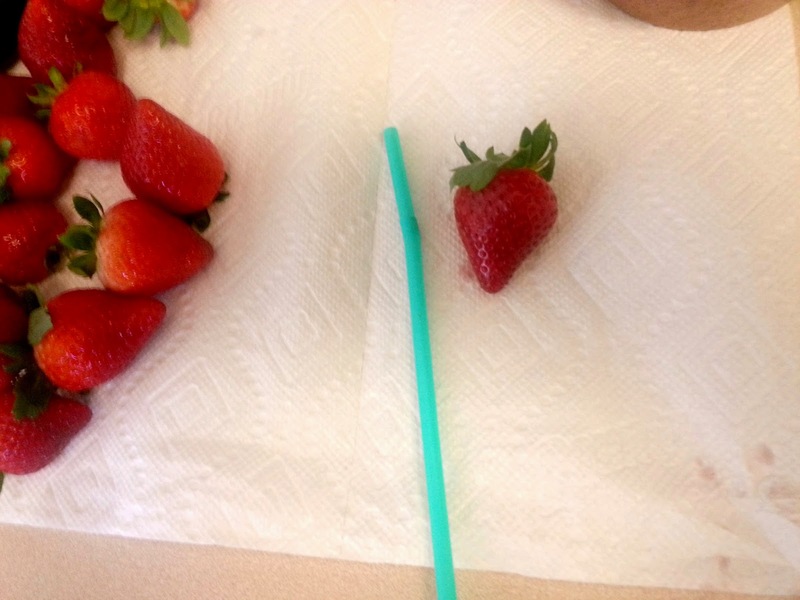 : Hulling Strawberries - the easy way! Hulling Strawberries - the easy way! Ever seen this trick on Pinterest before? I FINALLY remembered to try it. Oh man. It's a good one! And it's infomercial tagline totally lives up to its claim. 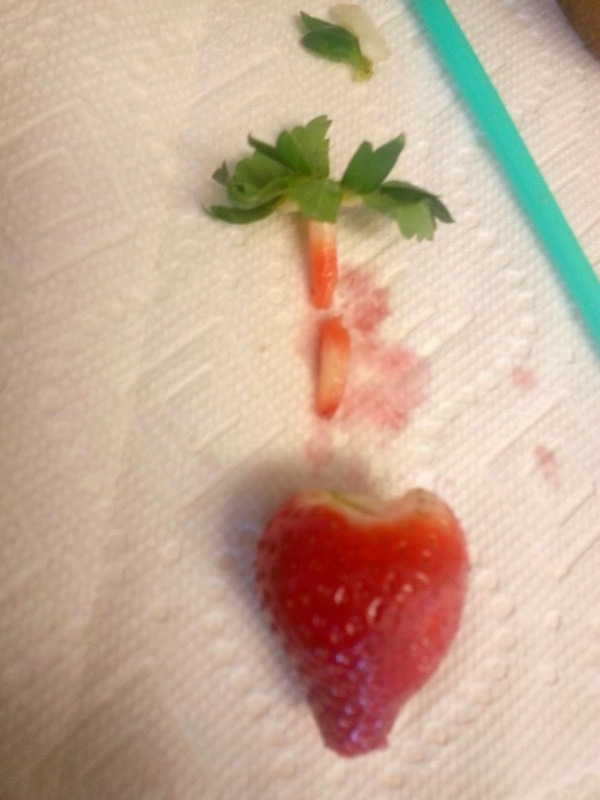 "Are you tired of cutting off the top third of your strawberries just to remove the stem?!" 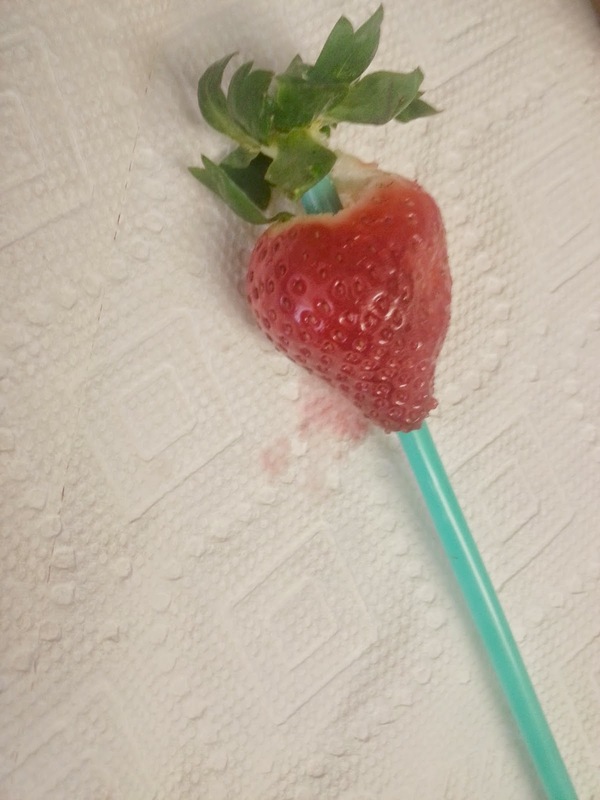 "Next time, just use a drinking straw! 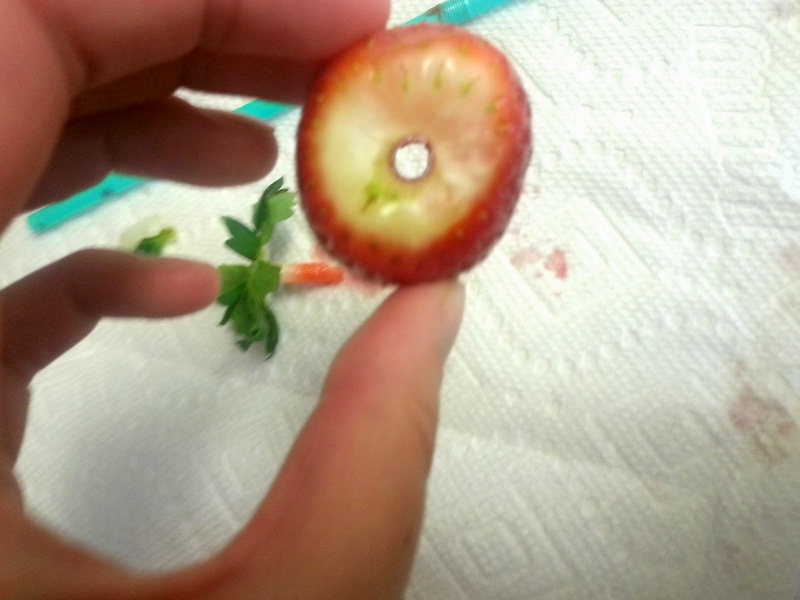 It pushes the core and green stem up and out, leaving the rest of the whole fruit in tact!" 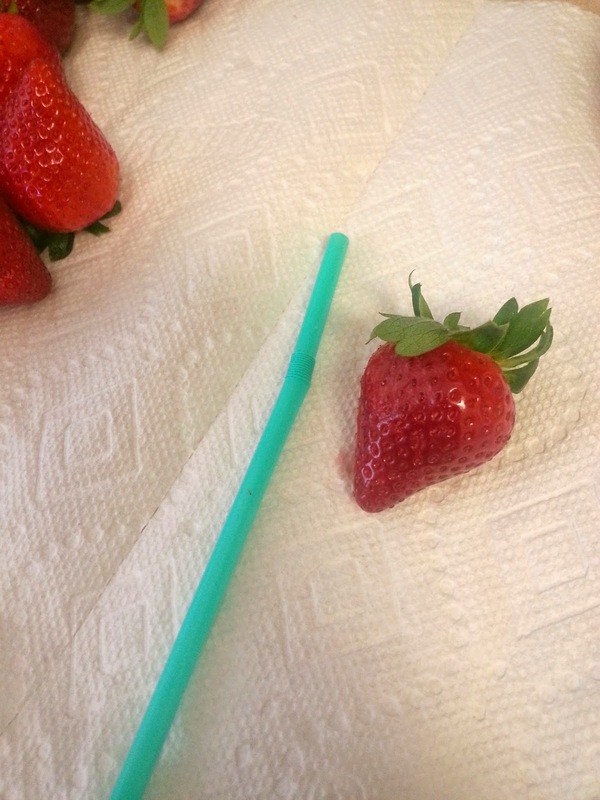 Just keep a few plastic drinking straws around in your knife/kitchen tool drawer and never waste part of a strawberry again! 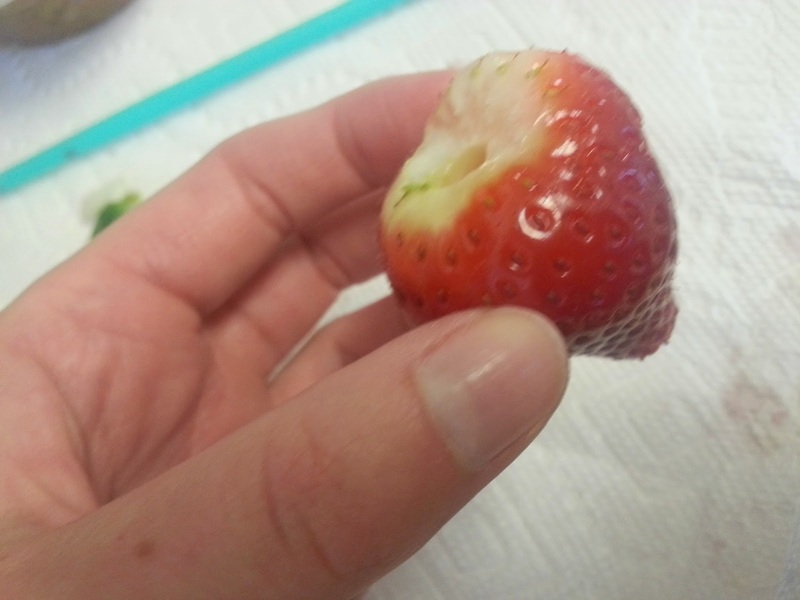 It does take a touch of finesse and elbow grease to aim exactly for the bottom middle of the berry, and then push to detatch the stem from the berry top. 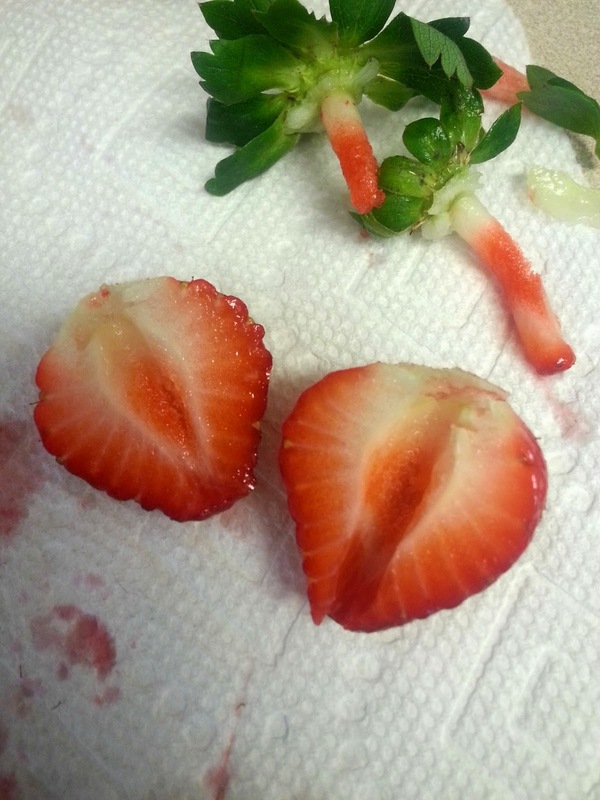 But, it is super easy, and doesn't take any longer than carefully cutting off the stem with a knife. 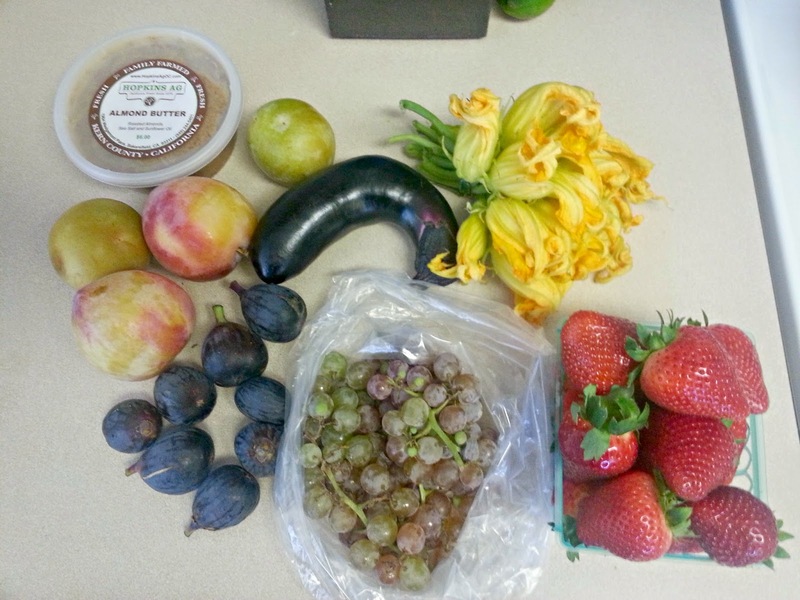 Especially with perfect farmer's market strawberries! Yum. 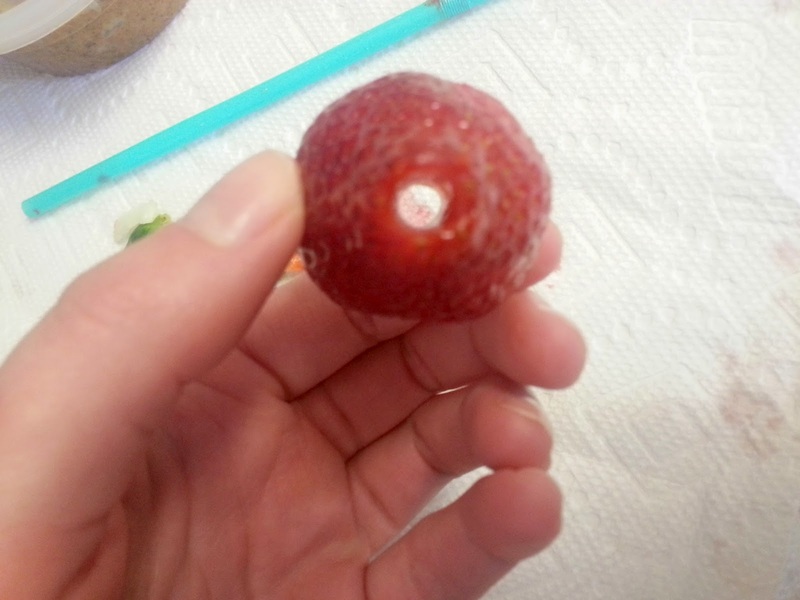 A perfect strawberry! No waste! Definitely a good trick to keep around.